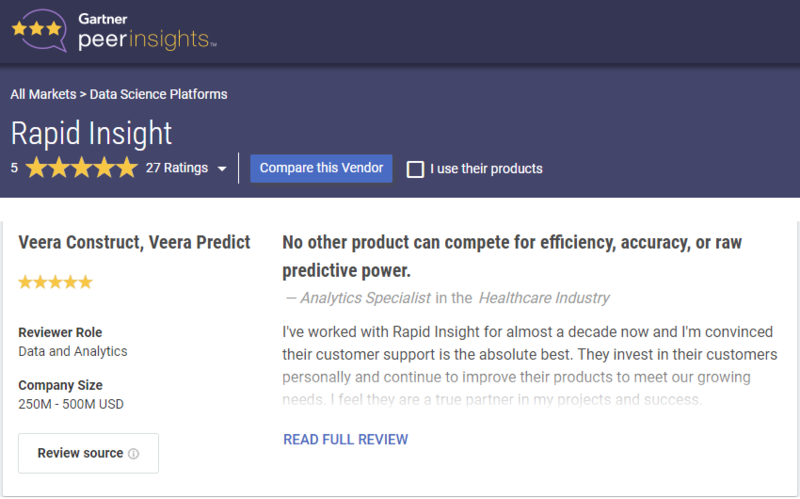 Veera from Rapid Insight is the #1 Advanced Analytics and Data Science Platform via Gartner’s Peer Insights. Veera’s data prep, predictive analytics and data exploration capabilities are utilized by data scientists, business analysts, institutional researchers, managers and executives across all industries. You can visit the Gartner Peer Insights website to learn how Rapid Insight stacks up against other data analytics platforms and why our customers love us!